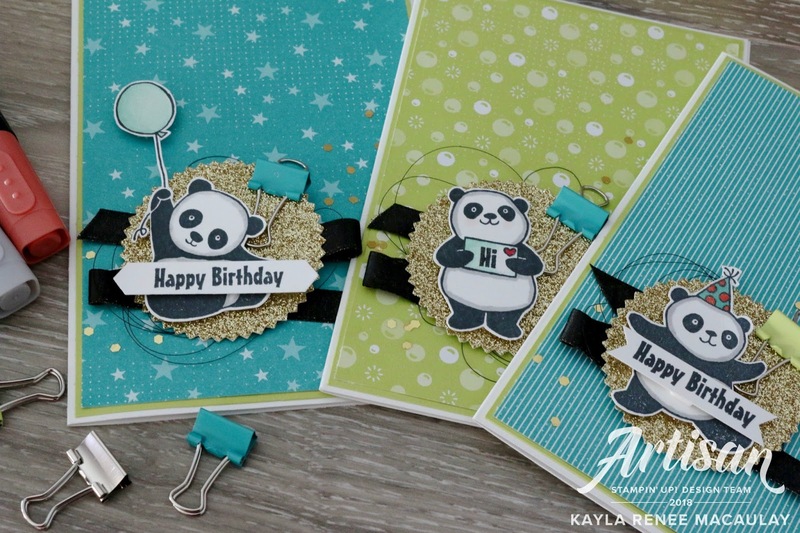 Party Pandas ~ Crazy Crafters Sale-a-Bration/Occasions Blog Hop! Thanks for stopping by my blog. I am really excited to be here today sharing with you a product I LOVE from the Sale-a-Bration catalogue...well actually TWO products. I am participating in the Crazy Crafters Occasions & Sale-a-Bration blog hop where we are sharing projects that we have made from all these gorgeous new products available at Stampin' Up! Believe me, it was pretty hard to pick which to create with. There is an endless supply of great products to choose from. 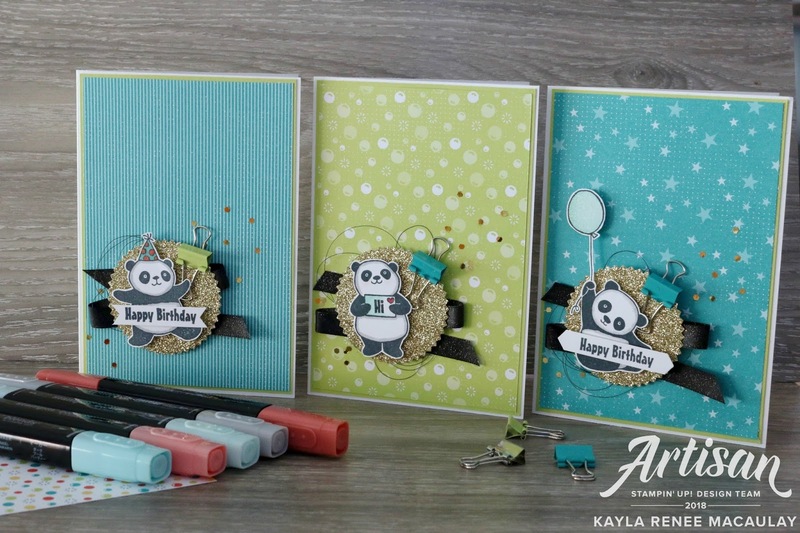 Here's a look at the set of cards that I made using the Party Pandas stamp set from Sale-a-Bration as well as the gorgeous Bubbles & Fizz Designer Series Paper that is also a FREE Sale-a-Bration choice. I love Bermuda Bay and Lemon Lime Twist (especially together!) they are my two absolute favourite colours. I hope you enjoy this look at all my cards I created. I went for the same design for all of them, just switched up the stamps, colours and patterns. I actually really love creating cards in sets because I can make simple changes for a different look without much need for a design change. It means I get more cards made and more cards sent! 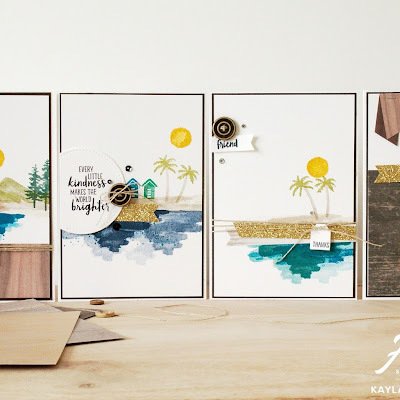 I also dug into my stash and decided to use a couple more new products from the Occasions catalogue including the Stampin' Blends (they are pretty addictive let me tell you! 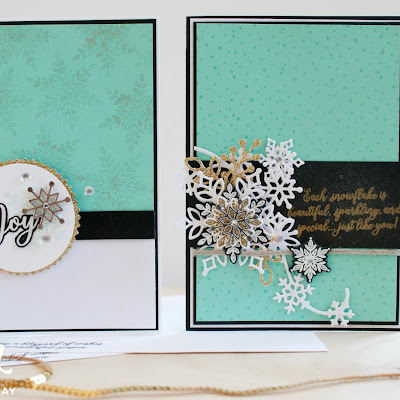 ), the Birthday Mini Binder Clips and the gorgeous Gold Glimmer Flakes. This card I made with the gorgeous Bermuda Bay striped Designer Series paper. I loved the thin downward stripes in this pattern paired with this gorgeous party panda. He looks so cute with that party hat! I decided to colour his hat with some Bermuda Bay and Calypso Coral Stampin' Blends. Lemon Lime Twist has my heart, really. It's such a gorgeous and refreshing colour. I love this bubble paper from the DSP set. It's so bright and happy. I love how the Basic Black Shimmer Ribbon really 'pops' on this colour. I love this gorgeous little panda that holds a cute little love letter. You can stamp either 'HI' or 'I LOVE YOU' inside the little envelope. Pretty cute huh? This card would be great for many occasions or just to say hello. I love 'just because' cards. This is a beautiful star pattern from the DSP which would look great for teen or masculine cards I think. I love the Happy Birthday vibe it gives to this card though. Perfect for that little panda holding that gorgeous balloon. 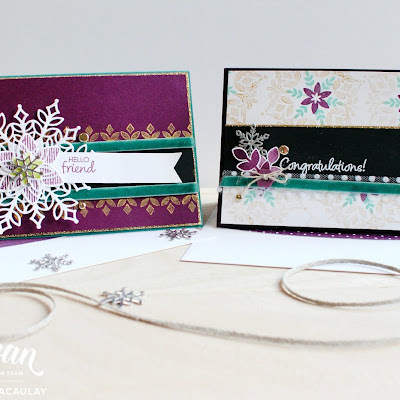 I love how the Stampin' Blends can give you images such dimension! Here is a close up of some of the elements on all three of the cards. I think I a little addicted to these pandas now and can't wait to play with them some more! You can also see a Facebook Live video where I showed HOW I made these cards here. Don't forget you can follow me on Facebook to catch me live! I would love you to pop along and check out all the other blogs from the rest of the Crazy Crafters that have taken part in this great blog hop. There is much inspiration to be had! Thanks for checking out my blog today. 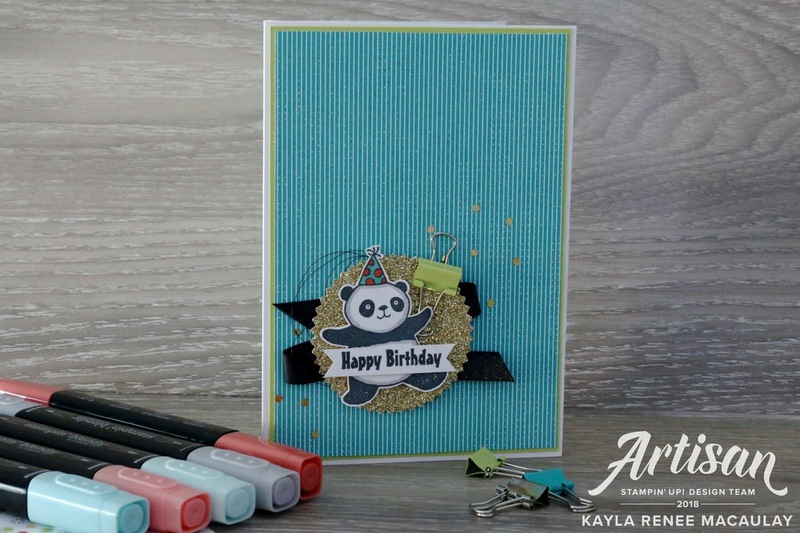 I hope I have provided you some inspiration and remember you can grab these pandas and the gorgeous Bubbles & Fizz Designer Series paper FREE with a $90 order at the moment. Click the product links below to be taken to my store.